In just a few days it will be May and the summer season will officially be upon us. That means big blockbuster movies week after week. This is a no-brainer as the Captain America threequel is also essential mini-Avengers movie as well. With an all-star cast and some surprise cameos in the works Civil War is set to be the first big blockbuster of the summer season. With the Russo Brothers at the helm once again audiences are guaranteed a smart, entertaining good time. Any time Shane Black releases a film everyone should take notice. The comedy, set in 1970s Los Angeles, pairs Ryan Gosling with Russell Crowe in what is sure to become an instant cult classic. Black has a gift for gab that few writers possess and is responsible for everything from Lethal Weapon and Kiss, Kiss, Bang, Bang to Iron Man 3. With an all-star cast behind him The Nice Guys is the perfect summer alternative to a market flooded with superheroes. The final entry in the First Class series of X-Men films this will bring the time hopping franchise to a head in the most marvelous way possible. The success of Days of Future Past allowed the X-Men series to essentially start its timeline over and while those evens won’t be forgotten it has also allowed director Bryan Singer to retcon many of his previous mistakes. 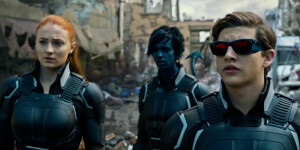 If anything, X-Men: Apocalypse might just be the film that fans of the 90s cartoon have been awaiting since the franchise first hit the big screen. This one actually opens up against the new Ninja Turtles sequel and while that one may make more at the box office there is no doubt Popstar is the better movie. From Andy Sandberg and the Lonely Island crew the movie seems to be a modern interpretation of This Is Spinal Tap and, based solely on the trailer, will be just as quotable. 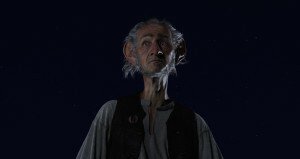 Steven Spielberg returns to children’s movies in the grandest way possible, by adapting a Roald Dahl book. The two are a match made in heaven and there is no one better to interpret the crazy, wonderful world of Dahl than the creator of some of the greatest children’s movies of all time. Now that J.J. Abrams has left the Captain’s chair it is up to Justin Lin to push the envelope and finally get Star Trek into brave new territory. Written by cast member and self-proclaimed Trekkie Simon Pegg the movie looks to actually take the crew off of Earth on to actual missions. While there is still expected to be plenty of action having real Trekkies in the mix should change the style and tone of the film considerably. The rogues are out to play in DC’s second entry in their expanded cinematic universe. With an all-star cast and a plot that looks absolutely bonkers the movie should be a certified hit. This marks the first time many of the characters will appear in the flesh so comic book fans over the world are already rejoicing. Whether or not they do it justice (forgive the pun) is anyone’s guess.